Visiting New York City only for the weekend? 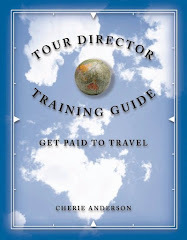 Did you know that through my professional tour network I am able to connect you to hundreds of tour/travel professionals across the USA with in depth knowledge of many regions like I have written about locally in Silicon Valley? Yes, a small niche of this network is the “professionally paid tour director” which may work with major tour companies that sell fun escorted group tour vacations to the consumer like you to different destinations and/or “local tour guides” specializing in showing people an in depth experience in one region. These colleagues will lead you to the key attractions in their regions; they will also guide you to significant places to visit and people to see off the beaten path for you to enjoy. ”Go for a walk in a local neighborhood like the Lower East Side, Chinatown, the West Village, etc. Step AWAY from the highlighted areas from tour books and walk the side streets so you may see there is peaceful, everyday living and uniqueness all around you in this vibrant city. Be sure to stop at a local merchant's shop -- a cafe or pastry shop, a bread baker or a traditional Italian market where they still slice the meats and cheeses. Try a small sample, the local shop owners love a visitor to step into their world, even if for only a moment and experience the real NYC,” says Tom Schoenewald, Professional Tour Director and President of USA Tour Pros. This would be a great experience and fun walk with Tom on a tour to see these places that you might not want to step out on your own to see! And, you will hear the special stories from Tom about the local, unique NYC. Watch for tips off the beaten path I may connect you to across the USA. Sign up at our website to be a part of this network. We do love to hear your comments here.